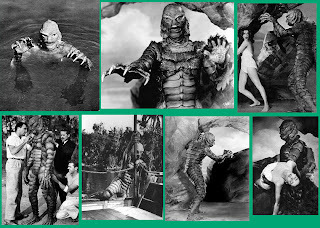 Ben Chapman, who is best known for his role as the amphibious humanoid monster in the classic 50's sci-fi/horror film The Creature From The Black Lagoon, has died. He was 79. We would like to take this opportunity to extend our condolences to his family and friends. 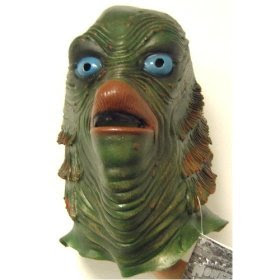 This 12" 'Creature from the Black Lagoon' figure is fully articulated and comprised of a film-accurate monster portrait, solid PVC hands, feet, and a rubber wet-suit. 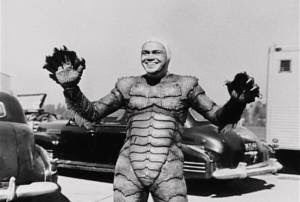 The construction of the wet-suit is nearly identical to the original film costume, with separate upper and lower portions. The body section wet-suit covers almost all visible joint lines and stretches to allow for a strong range of posing options. 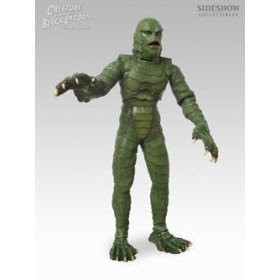 The Creature will also include a fossilized 'Creature' hand in 1/6th scale, as well as a support base with 'The Creature from the Black Lagoon' film logo. Produced by Sideshow Collectibles and long out of production.